Most precious metals lacked a lot of movement Monday. Platinum was the exception, advancing 1.2%. Gold and silver moved opposite of each other — with the former falling and the latter rising — but they logged less than a 0.1% change from their prices on Friday. Gold for December delivery dipped 60 cents to settle at $1,199.80 an ounce on the Comex division of the New York Mercantile Exchange. The close is the lowest since last week Tuesday, Sept. 4. "A weaker U.S. dollar index today limited selling interest, but upbeat trader and investor attitudes to start the trading week thwarted buying of the safe-haven metals," Jim Wyckoff, a senior analyst at Kitco Metals Inc., said in a report. 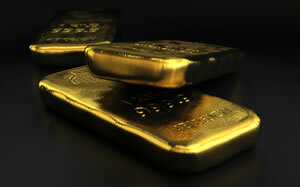 Gold futures ranged from a low of $1,196.20 to a high of $1,203.80. They slipped 0.5% last week. Silver for December delivery added 1.1 cents to settle at $14.181 an ounce. Silver futures traded between $14.11 and $14.29. They tumbled 2.7% last week, ending Friday at their worst point since Jan. 22, 2016. October platinum advanced $9.60 to end at $790 an ounce, ranging from $776.70 to $801.10. Palladium for December delivery shed $4.20, or 0.4%, to $964.60 an ounce, trading between $961.40 and $978.30. The two metals last week registered respective weekly losses of 0.9% and 0.1%. Gold fell $2.30, or 0.2%, to 1,196.60 an ounce. Silver rose 3 cents, or 0.2%, to $14.215 an ounce. In LBMA results last week, prices fell 0.3% for gold, 3.2% for silver, and 2% for platinum. They moved up 0.3% for palladium. United States Mint bullion sales rose by 1,000 ounces in 1-ounce American Gold Eagles and by 130,000 ounces in Cumberland Island 5-ounce silver bullion coins. A CoinNews photo of a Cumberland Island quarter. 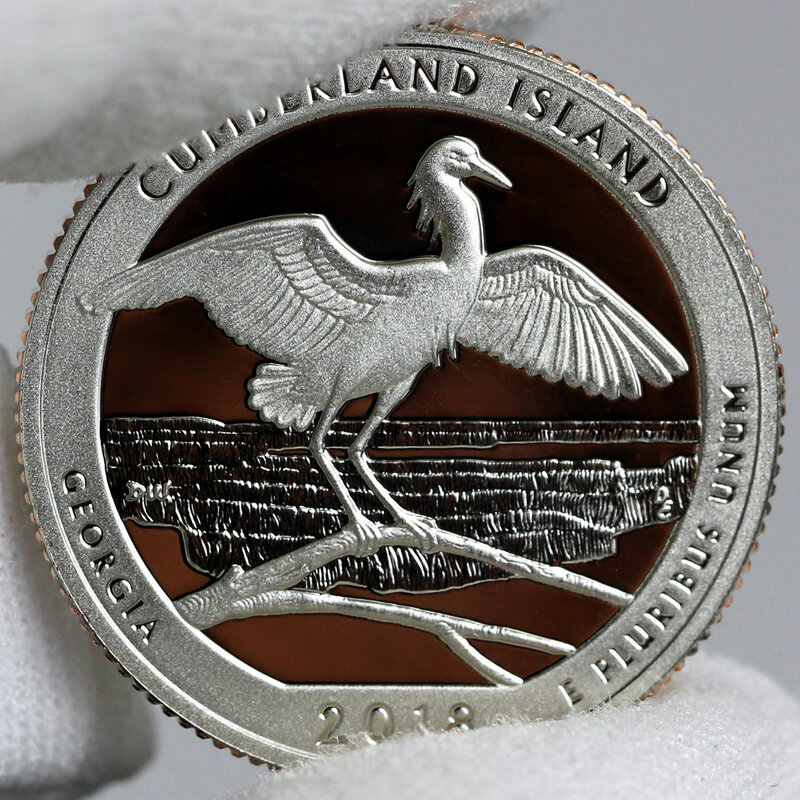 The U.S. Mint started accepting orders for its 5-ounce Cumberland Island America the Beautiful Silver Bullion Coin. It shares the quarter’s designs. Released today for sale to U.S. Mint bullion distributors, the Cumberland Island piece is the fourth 2018-dated 5-ounce America the Beautiful silver bullion coin. The coin depicts Cumberland Island National Seashore in Georgia — just like the companion quarter released two weeks ago. No 5-ounce coins sold in the previous ten weeks.